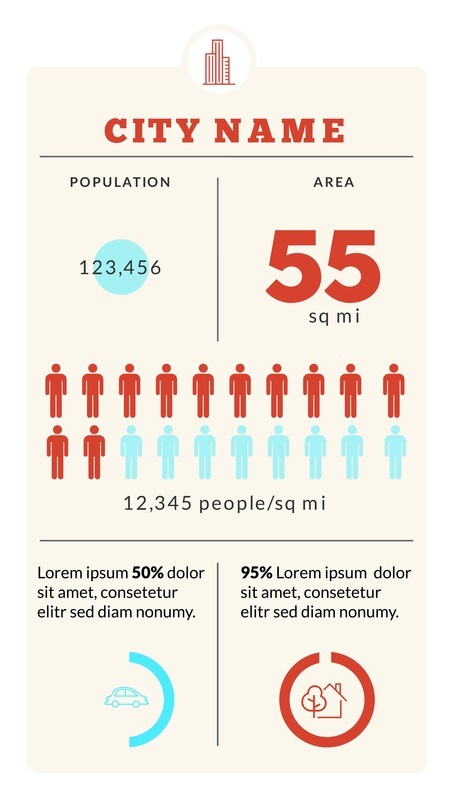 Business infographics are a great way to spice up a pitch or report. Simple graphs, charts and statistics aren’t as enticing or convincing as a polished infographic. Whether you’re illustrating a timeline of events, the structure of your company, or the process of your workflow, an infographic is the best way to communicate the message. The icons and symbols in infographics allow the viewer to easily understand the message from the visual alone. It acts as a guide for the information you’re presenting. Our collection of business infographic templates is sure to give you a great foundation for your design. 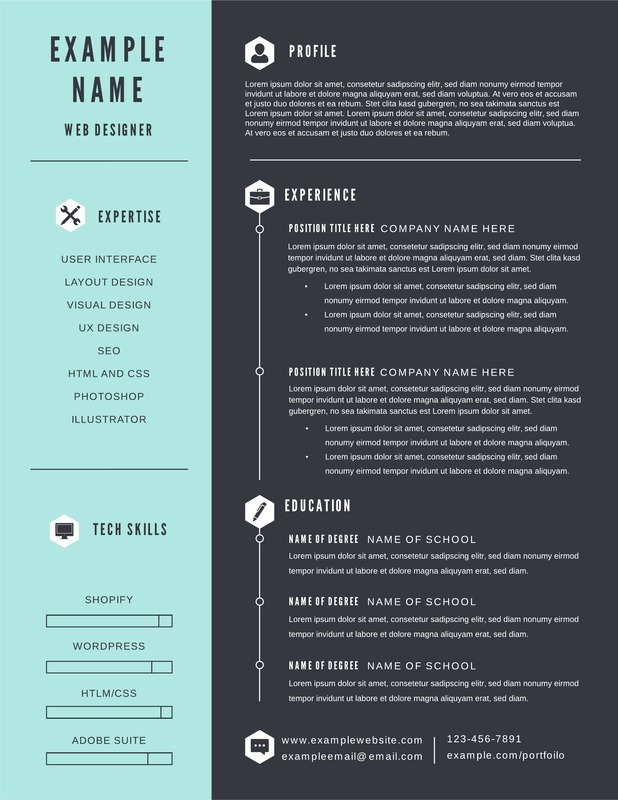 You can either use the template as it is by simply filling in your company’s information, or you can use the template as an example to guide you to create your own design. Either way, you can easily customize your infographic to fit your needs with our easy-to-use platform. 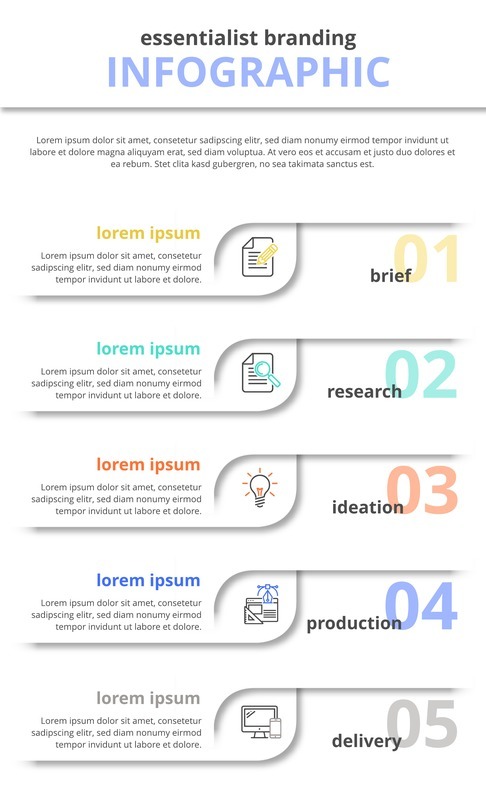 With Lucidpress’s business infographic templates, you can start creating professional-quality visual elements with ease. Our drag-and-drop interface allows you to easily customize the template to match your vision. 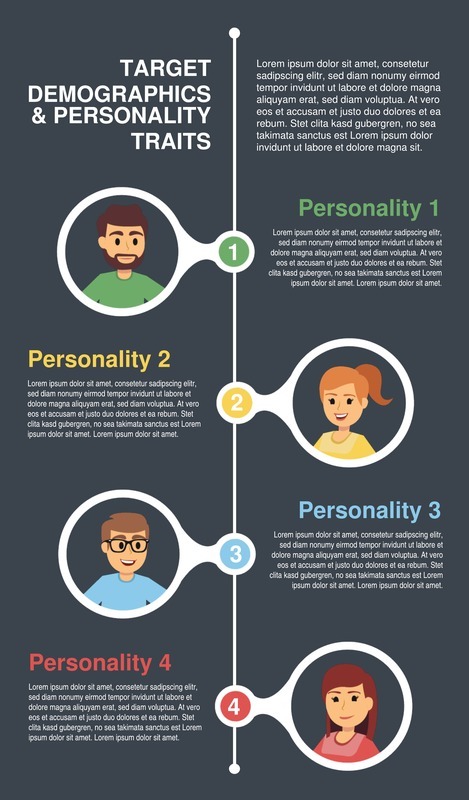 You can import images and other content into our infographic templates, making it easy to utilize the resources you already have. Also, with Lucidpress, there is no learning curve. 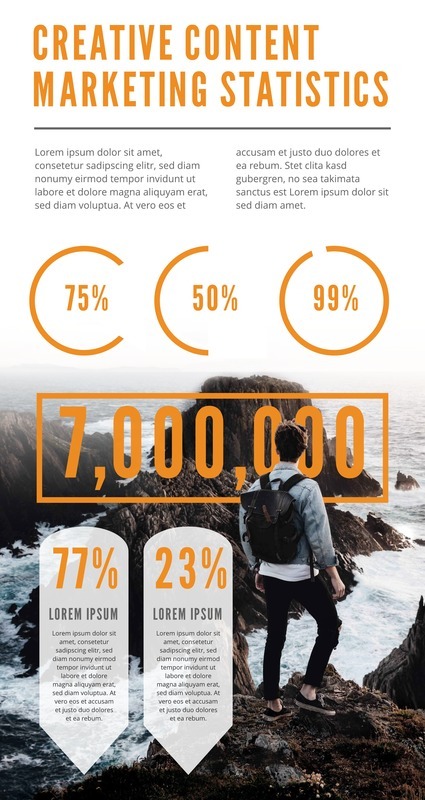 Anyone can master our simple drag-and-drop design platform, so you can start designing your business infographic today.